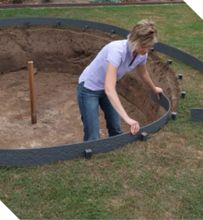 MasterEdge is a strong, sustainable garden edging that is just as easy to work with as wood, is rot-proof, and is completely environmentally friendly, being made from 100% Reycled Plastics. 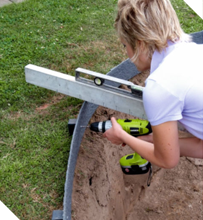 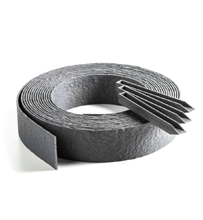 MasterEdge offer a flexible solution for all types of edging in the garden or public spaces. 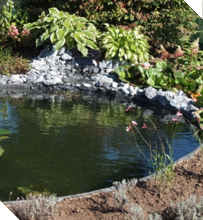 From lawn, border, garden path, vegetable garden, herb garden to sandbox or pond edging. 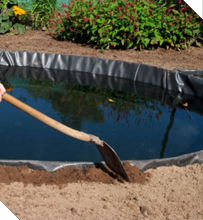 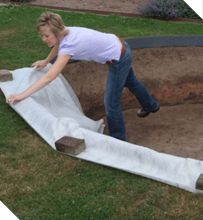 Lay the base protective membrane over the edging, followed by the pond liner, ensure it comes over the top of the edging, finish neatly and back fill.